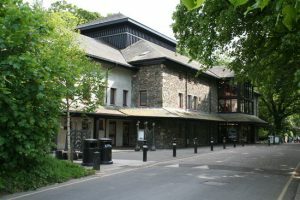 The Northern Fells Group is delighted to announce a new partnership with The Theatre by the Lake in Keswick. The aim of this is to encourage local people to visit the theatre, widening participation and ensuring that the theatre belongs to the local communities in the surrounding area. As part of this initiative our poetry group visited the Theatre on April 19th to see the world premier of Nicholas Pierpan’s vivid and passionate new play, William Wordsworth. 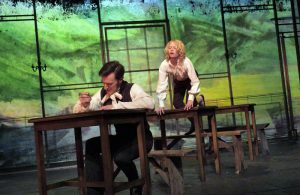 It was a funny, moving and poignant portrait of a man torn between poetic ambitions and family duties and it features a distinguished cast including Olivier-award winning actor Joseph Mydell, John Sackville as Wordsworth and Emma Pallant as Dorothy. Everyone enjoyed the play and the afternoon out. Reduced ticket prices and future local workshops about the plays produced at the Theatre including As You Like It, due to run in July to November, will follow……..